[–]anakinash: What the heck are they actually talking about ? [–]_vargas_: So they're calling it "6 plus" but it's really only 5.5? Way to steal a page out of my playbook, Apple. I guess she has a large pocketbook and frequently loses things in it. It's not the size of the screen but the power of the processor. Smoking cigars is a hobby and a great way to pass the time of day! That sounds like something that someone with a small screen would say. I was in the pool!! I was in the pool!!! Whatever, Tom. No big deal. C'mon, Thomas, I was expecting better than that My Friend! I was expecting better than that My Friend! So, we're back to Kelly's original thoughts then?!? What, it's too short for you? Don't be a hog! 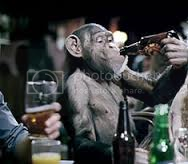 Perhaps I can be a drunken monkey instead? So now we are going full circle and back to bananas ?